Business travelers who regularly fly the friendly skies know that a baggage mishap can make or break the experience. Airlines continue to hike rates for checked bags and offer no guarantee the bag will end up in the same city as the traveler. For this reason, the right carry-on is a must. Here are some great options for business travelers. This messenger bag has a laptop compartment that zips open and lies flat, eliminating the need to remove a laptop from the suitcase during the security check. 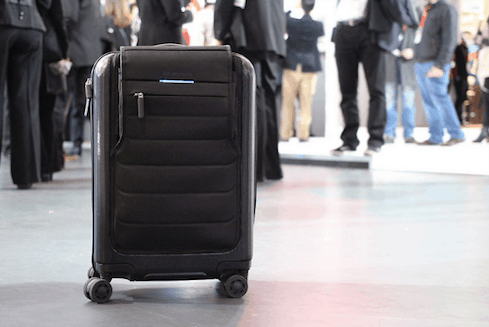 It is TSA-compliant, attaches easily to an upright suitcase, and retails at $120. This carry-on offers several travel-friendly features, such as front compartments, four durable spinning wheels, and a side handle for easier hoisting into the car service vehicle or overhead bin. It also collapses to half its thickness when empty, making for easy storage in the closet or under the bed. It’s offered at $229. This bag won high praise for durability and spaciousness after going through Consumer Reports’ “rough and tumble” test. It features 360-degree wheels, sturdy bumper guards, and an assortment of interior pockets and straps to keep contents organized. This carry-on also offers a universal tracking number and free monogramming. It is priced at $675. This innovative carry-on features five removable compartments that stack and slide out like drawers. The compartments are color-coded and zipper-closed, which eliminates the need to dig through the entire contents of a carry-on to find a toothbrush or extra pair of socks. Additionally, the bag’s aluminum alloy frame doubles as a seat, which makes waiting at the gate or for your car service to arrive a breeze. This carry-on retails at $295. With a durable, dependable carry-on, business travel is stress-free, allowing travelers to relax in their airport limousine and enjoy the ride.